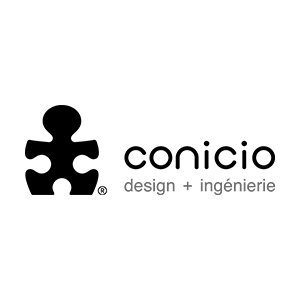 CONICIO is an industrial design agency offering an integrated design and engineering service for the creation and development of innovative interfaces and products. This approach enables us to guarantee our clients that their projects will be transformed into products that are aesthetic, operational and industrially manufacturable. Driven by an enthusiastic team of creators – designers, engineers and technicians – the agency can even support the different players in innovation to speed up the development of new products and increase the performance of the company’s in-house teams. Thanks to its skills in product design, R&D and mechanical and materials engineering, CONICIO has managed to bring value to professional equipment and consumer goods in various activity sectors and for different types of companies.